This node applies an imported color map to a terrain. The output terrain is the same terrain as the input terrain, but with a color map. 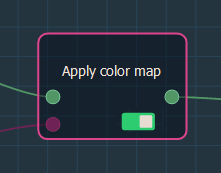 To add a node, right click in the Graph Editor and select Create Node > Color > Apply color map. 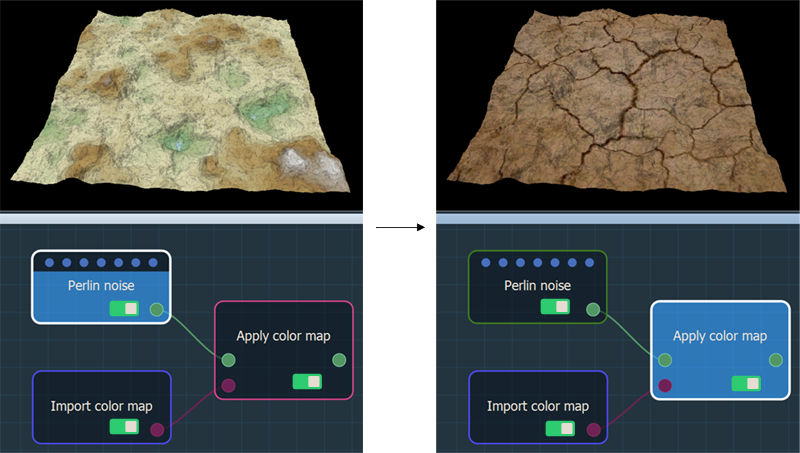 This node links a color map imported via the Import color map node and a terrain generator, and applies the color map to the terrain. The color map is preserved throughout the graph unless a new color map is applied.